1. RPF co auditing—no donation requested. 2. 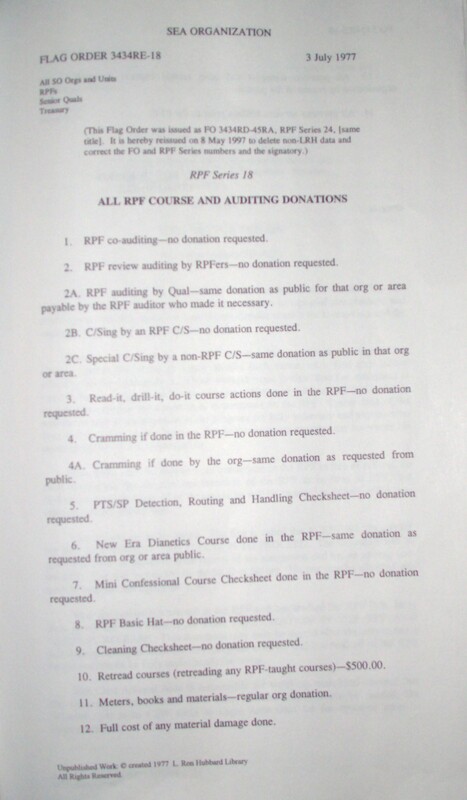 RPF review auditing by RPFers—no donation requested. 2A. RPF auditing by Qual—same donation as public for that org or area by the RPF auditor who made it necessary. 2B. C/Sing by an RPF C/S—no donation requested. 2C. Special C/Sing by a non-RPF C/S—same donation as public in that org. 3. Read-it, drill it, do-it course actions done in the RPF—no donation. 4. Cramming if done in the RPF—no donation requested. 4A. Cramming If done by the org—same donation as requested from public. 5. PTS/SP Detection, Routing and Handling Checksheet—no donation requested. 6. 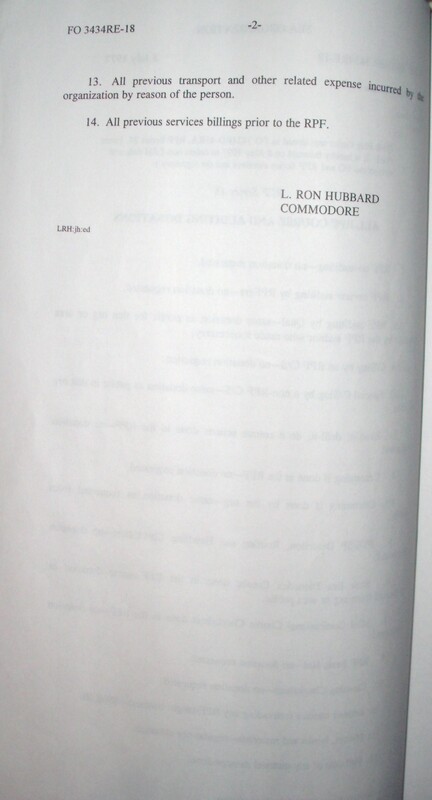 New Era Dianetics Course done in the RPF—same donation as requested from org or area public. 7. Mini Confessional Course Checksheet done in the RPF—no donation requested. 8. RPF Basic Hat—no donation requested. 9. Cleaning Checksheet—no donation requested. 10. Retread courses (retreading any RPF-taught courses)—$500.00. 11. Meters, books and materials—regular org donation. 12. 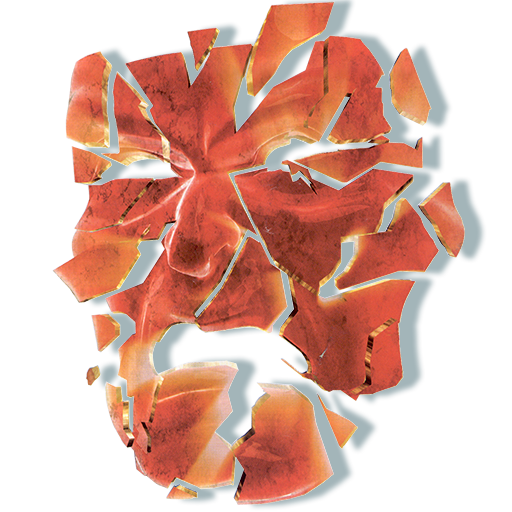 Full cost of any material damage done. 13. All previous transport and other related expense incurred by the organization by reason of the person. 14. All previous services billings prior to the RPF.